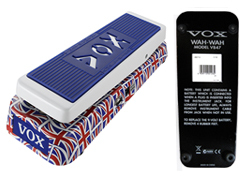 The Vox V847AUJ "Union Jack" wah pedal was introduced in 2013. 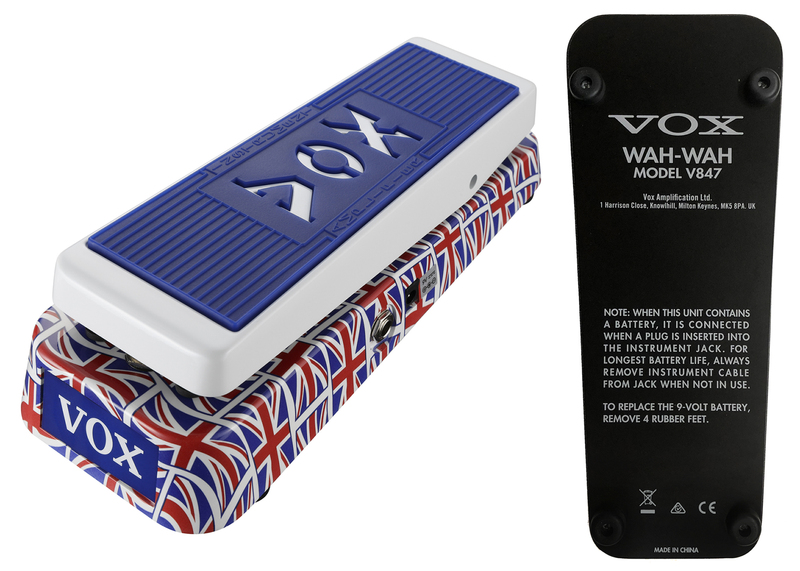 It was the second time that Vox offered a wah pedal embellished with the British flag. Eleven years earlier, Vox introduced the V847UJ "Union Jack" wah pedal. The V847UJ was produced from 2002 - 2004 for Vox by Dunlop Manufacturing of Benitia CA. The V847AUJ was made in China. 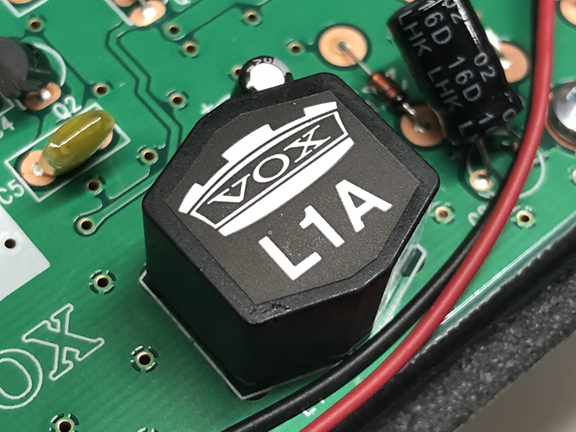 The V847AUJ featured a Vox branded "L1A" inductor (see image below). Unlike the original two transistor V846 wah circuit introduced in 1966 by Thomas Organ, the V847AUJ circuit included three transistors and a buffered input. The V847AUJ had a die cast aluminum case with a white and blue rocker pedal plus an input for a 9 VDC external power supply.